Get Undead and Undressed at a 10 percent launch week discount. Akiba’s Trip: Undead & Undressed will launch for PC via Steam on May 26, XSEED Games announced. The game will cost $29.99 / €26.99 / £19.99, but be sold at a 10 percent discount during its first week. The Steam version will include the “Visual Editor” added in the PlayStation 4 version that allows players to customize every aspect of the game’s look, enhanced visuals with support for a wide variety of screen resolutions including 1080p, and numerous Steam features such as achievements and trading cards. In Akiba’s Trip: Undead & Undressed, players take an eclectic trip through a meticulous recreation of Tokyo’s “Electric Town” district, Akihabara (Akiba for short), to halt a growing malevolence that threatens everything the so-called “geek mecca” represents. Akiba has been invaded by vampiric monsters called “Synthisters” who prey on the anime- and game-obsessed patrons of Akiba – but these vampires feast on their victims’ social energy and will to live rather than their blood. 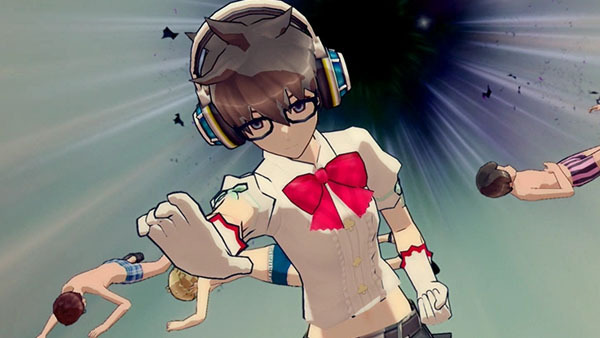 Taking on the role of a typical but naive local student named Nanashi, who has been transformed into a member of the walking undead himself, players must use an in-game smartphone app to identify which of the outwardly human inhabitants of Akiba are Synthisters, then free them of their clothes, exposing them to sunlight and sending them to the netherworld. To achieve this, players will use everyday objects from baseball bats to comic books to motherboards as weapons, beating enemies into submission before attempting to literally grab the shirts off their backs. Dual Audio with English and Japanese voiceovers complement a narrative dripping with satire and nods to Japanese culture to create a bewitching modern day supernatural “otaku” adventure.